Most people—when they wish to learn something about a specific place—usually go to museums. The stories about a place’s beginnings are represented by artifacts and documents enshrined behind glass panels. While going to museum is a fine idea, going to a place rich in history—much like an outdoor museum—is an entirely different experience. 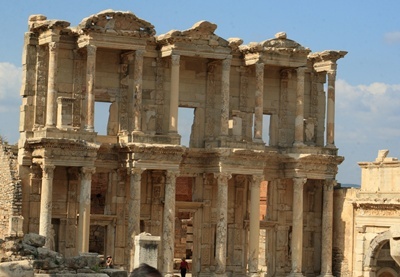 The Ephesus Ruins is perhaps on of Turkey’s greatest outdoor museums. The place boasts of countless stories, all told through what’s left of the ancient structures. Located south of Selcuk county in Izmir province, the ruins is one destination that should not be missed when one goes to Turkey. 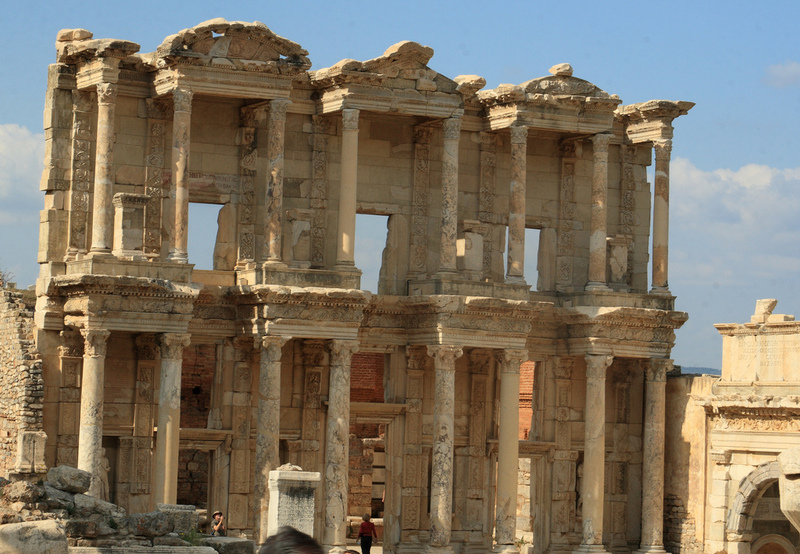 The Ephesus Ruins is comprised of several key spots. Among those is the Odeion, which is also called as the Small Theater. Built around 150 AD, the theater could seat 1,400 people in the semi-circular structure. The Theater in the Ephesus Ruins boasts of a larger seating capacity; an estimated 44,000 spectators can fit this structure. It is believed that this is the largest outdoor theater during the ancient times. Another noteworthy structure in the Ephesus Ruins is the Temple of Domitian, which was one of the city’s largest temples. The temple was named after Emperor Domitian, who first gave temple stewardship to Ephesus. While the structure now lays in ruins, visitors would still get a feel of the temple’s grandness. The Fountain of Pollio is also a hit among visitors in the Ephesus Ruins. The fountain was built to give honor to C. Sectilius Pollio, who was responsible for the construction of the Marnas aqueduct. The fountain is found east of the Domitian square. In Curetes Street is a handsome edifice called the Temple of Hadrian. The structure—which is believed to have been built by the year 138—boasts of ornately decorated lintels; visitors would marvel at the craftsmanship in the details.